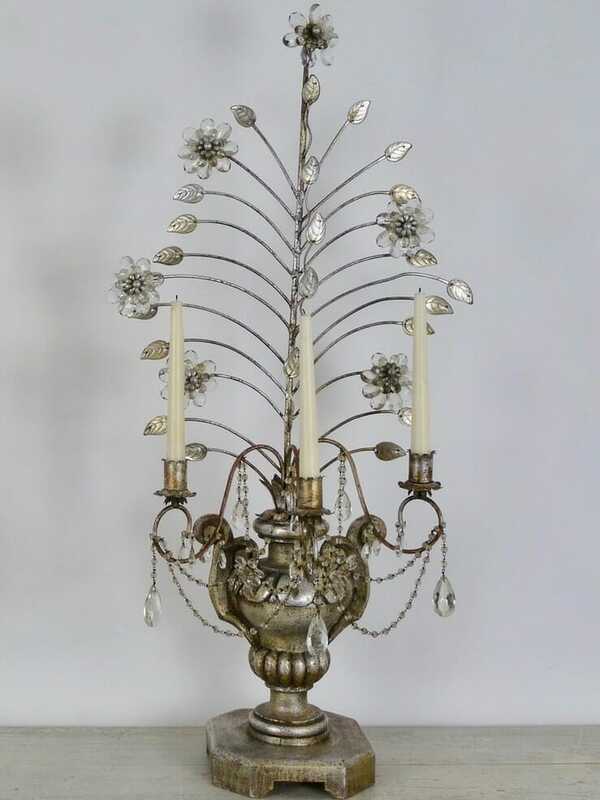 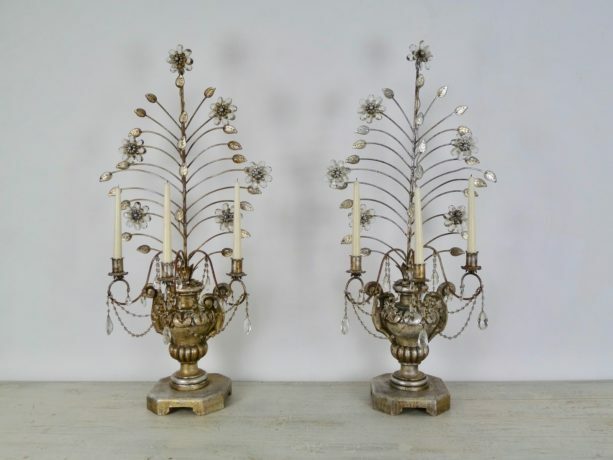 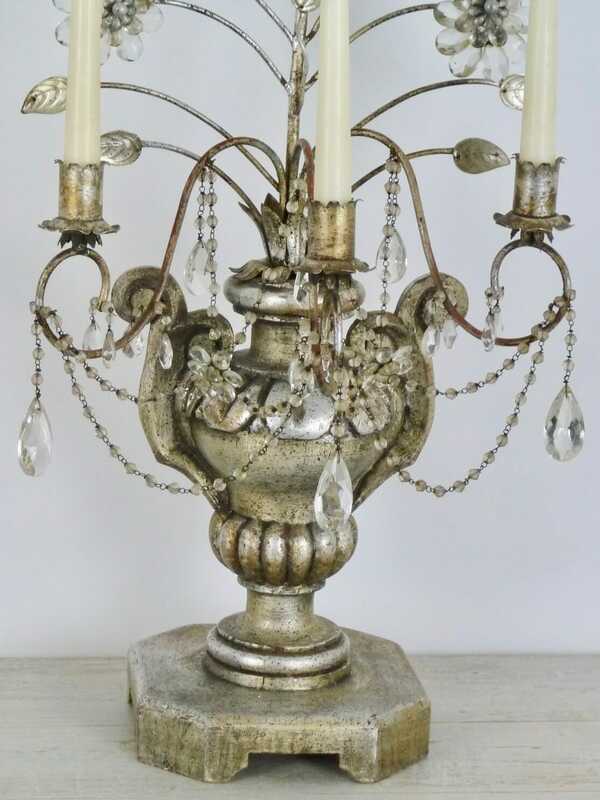 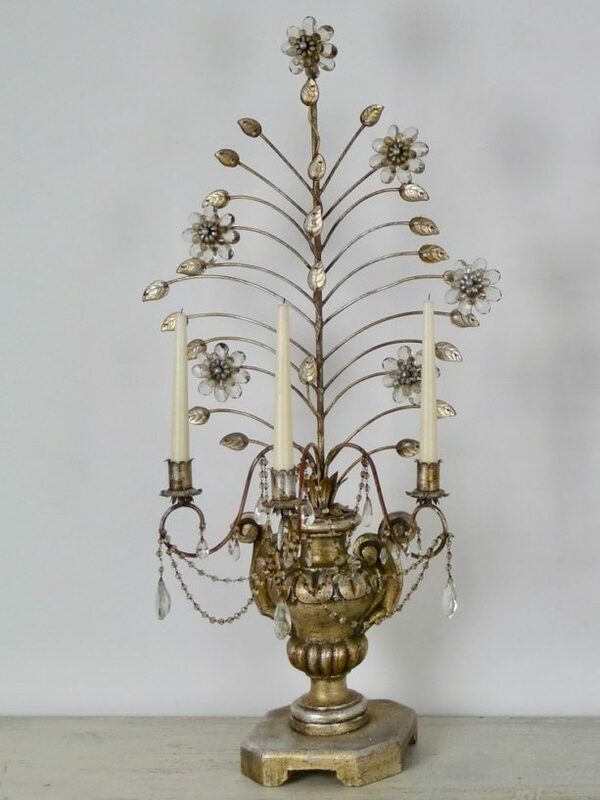 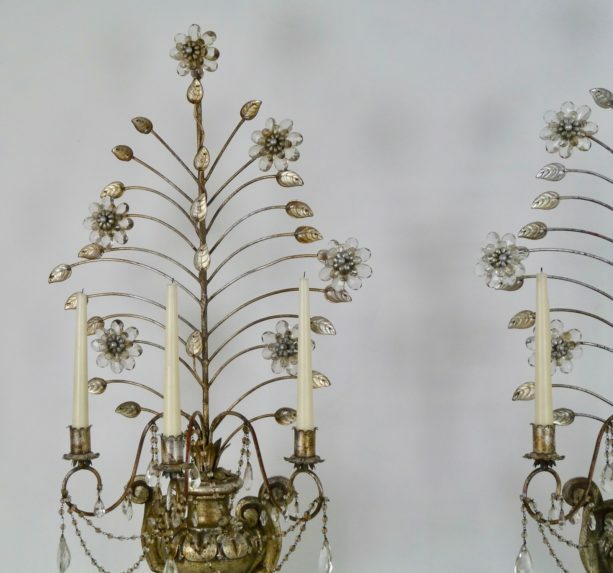 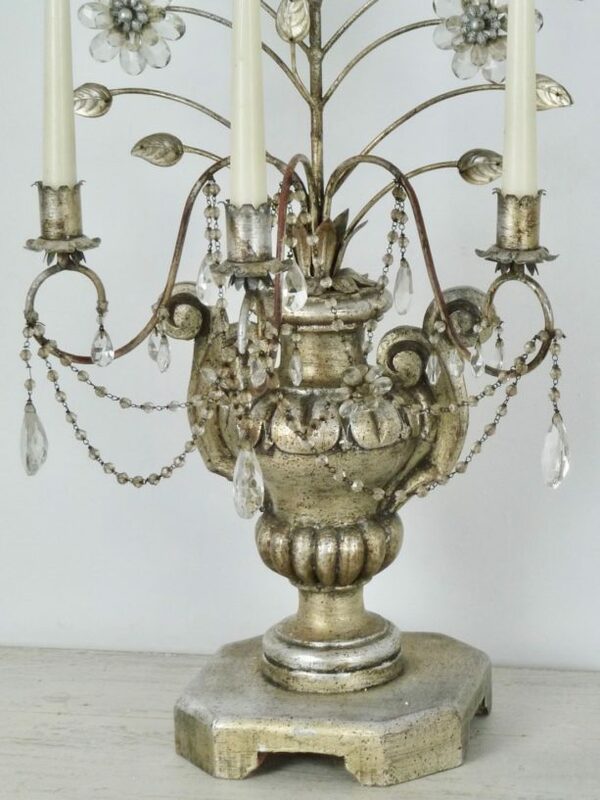 An Exceptional pair of italian silver gilt three branch ‘girandoles’. 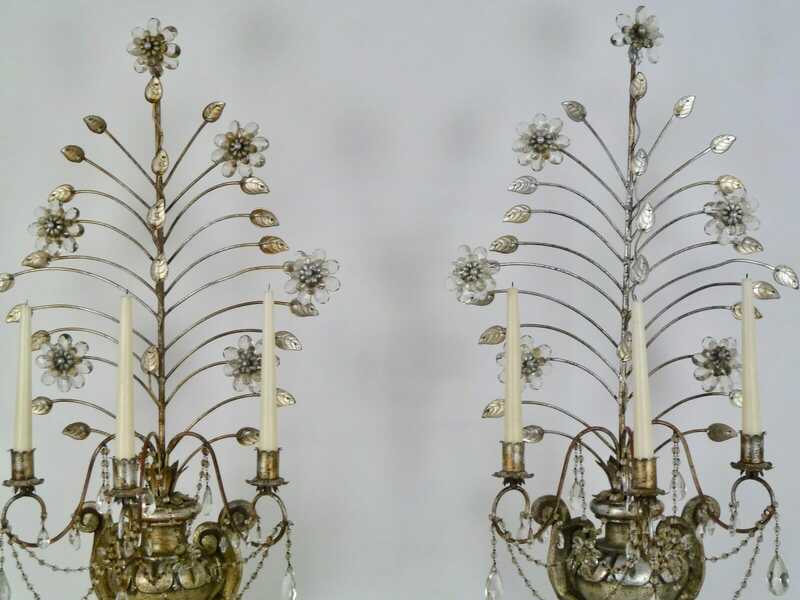 The carved wooden bases in the form of urns, with flamboyant sprays of stylised cut glass flowers, leaves and swags arising. In the style of Bagues (Paris). This pair can be wired on request. 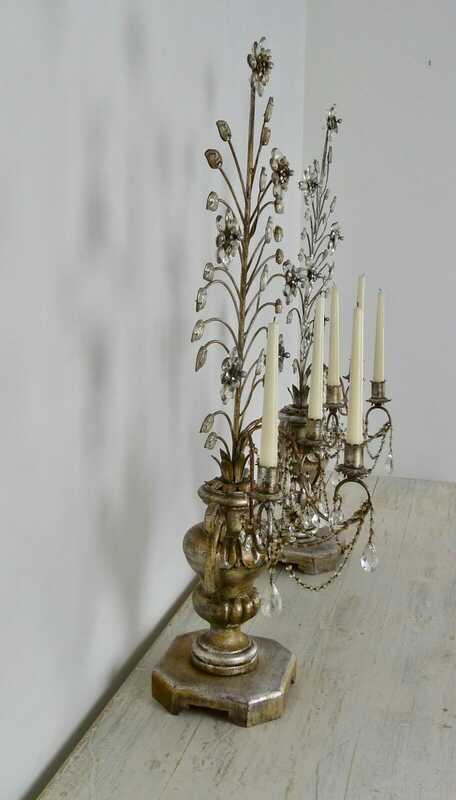 Please ask for a quotation.